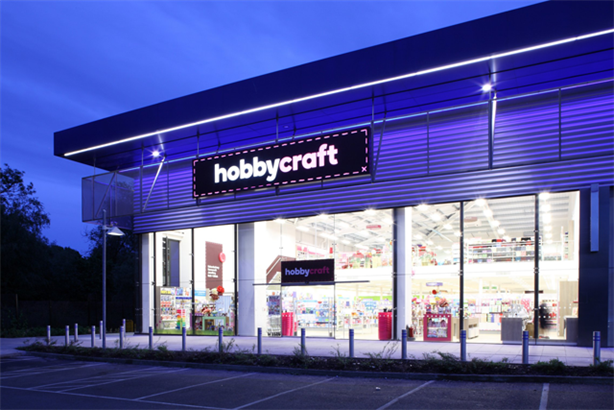 Hobbycraft, the UK's largest craft chain, has brought in consumer PR support as it takes advantage of a resurgence in making and mending. The company has appointed Euro RSCG on a retained basis for a consumer PR brief following a four-way pitch. The art and craft ‘supermarket’ chain, which employs 1,000 people across the country, has flourished in the recession as the idea of ‘make do and mend’ has gained popularity. It is now in the process of rebranding all 62 stores, having launched a major programme last May. It plans to open 14 more by the end of the year and has ambitions to more than quadruple in size to 180 stores during the ‘medium term’. An account team of six will report in to the Hobbycraft marketing team in Bournemouth and to CEO Catriona Marshall. Marshall said: ‘We are redesigning our stores to be much more vibrant and friendly, and to have much wider appeal. The agency’s national PR arm is led by Jo Grierson, consumer MD, and a local marketing team led by Brian Beech, MD, from the Manchester office. The national campaign will include showcasing key Christmas items to the press and a Hobbycraft children’s character launch. Local marketing will focus on initiatives such as a post-Jubilee craft event in the summer half term. Key products include card making, knitting, needlecrafts and haberdashery, fine art, and jewellery making.